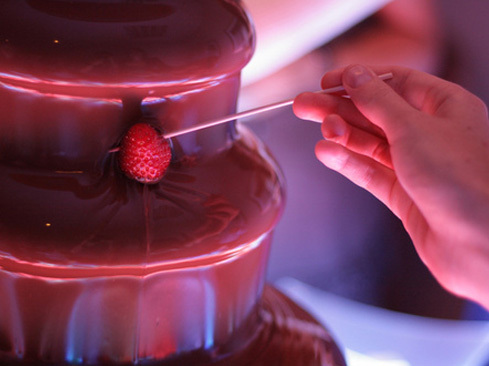 A Chocolate Fountain is an unforgettable conversation piece that creates an atmosphere of luxury. 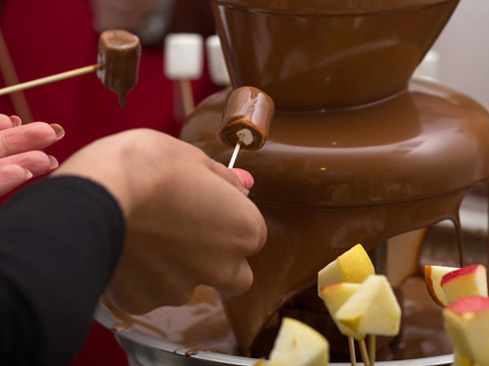 Using only the finest Belgian chocolate you can choose from milk, dark and white chocolates plus a variety of flavors to suit your palette. 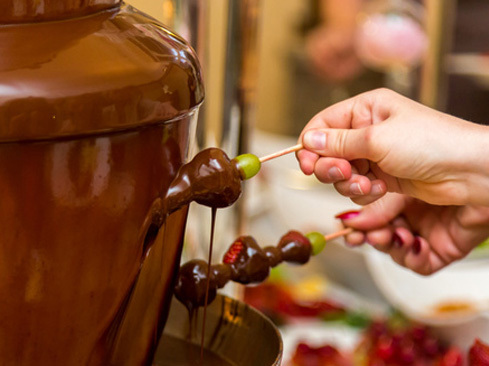 Having a chocolate fountain at your wedding will amaze your guests and make the day extra special. 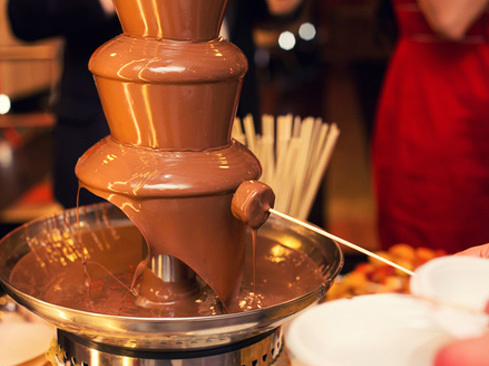 A chocolate fountain is also a great way to get your wedding guests to interact and mingle. 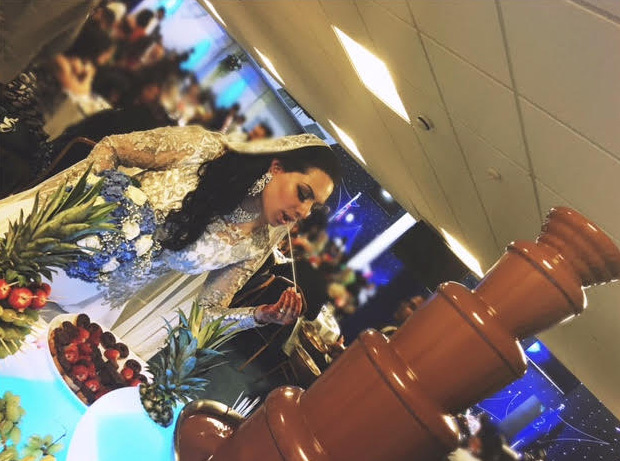 With guests relaxing and enjoying the fun of the chocolate fountain it creates a fantastic atmosphere for families and friends to meet, talk and get to know each other better. 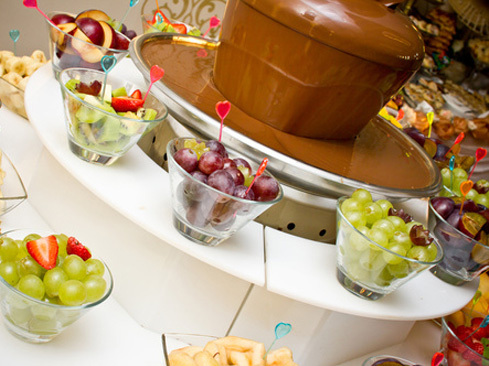 Empire Events chocolate fountain hire also includes our illuminated chocolate fondue surround. 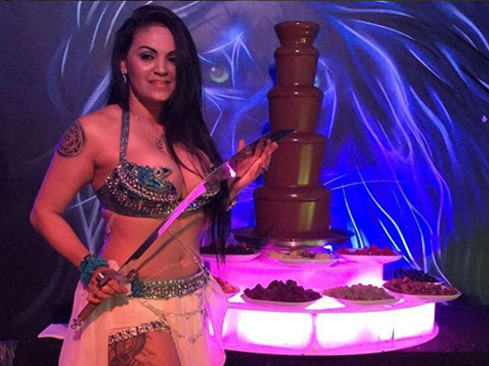 This features colour changing LED lights. 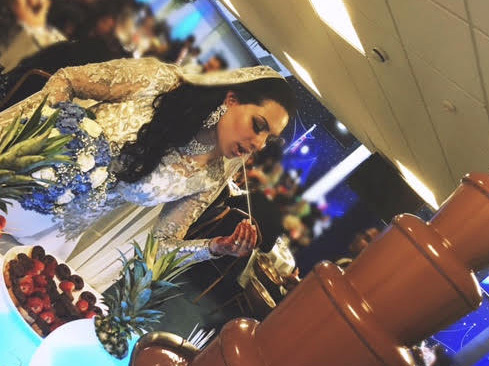 We are also able supply a fully trained and uniformed attendant for your wedding.